A CARING DIVORCE ATTORNEY... IS THERE SUCH A THING? 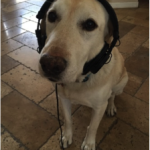 Home/Transcripts/A Caring Divorce Attorney… Is There Such a Thing? 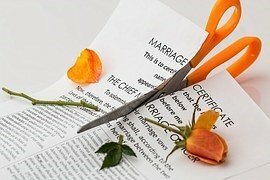 A Caring Divorce Attorney… Is There Such a Thing? 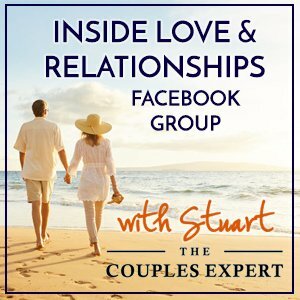 Stuart: Hi there, and welcome to The Couples Expert Podcast. This is Stuart Fensterheim, The Couples Expert. Thank you again for joining me on our journey of connection. Each and every week we discuss being open and vulnerable with our partners, having a truly special relationship. And the exciting news is, we now know how to have that kind of relationship where you and your partners not only are open and vulnerable with each other, but know that you have each other’s back. And we now know that this feeling of connection will allow the two of you to have a relationship in which you can accomplish anything your heart desires. So, welcome here to Scottsdale, Arizona. Today is April the 8th in a glorious Scottsdale, Arizona, here, and it is 72 degrees, a bit cloudy because they’re talking about rain, but for the most part, this is why we live here, to have weather that is just so much fun to live in. We can do everything that we want to do and really share our life with our partners. I’m doing something different today, and I’m sort of a little even worried about doing this, but truthfully, I think it makes a lot of sense. As you know, I mostly have couples’ counselors on because I have such a positive attitude about relationships and that if the two of you want to really reshape your relationship, you can. And I’m bringing on an attorney, not only an attorney, but a divorce attorney, of all attorneys! And yes, now, no more booing, it is an attorney. What we’re going to talk about, though, is this particular attorney. 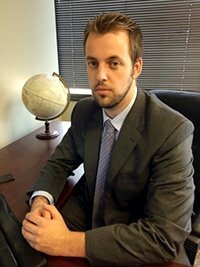 I’ve met a number of attorneys in my lifetime, my brother is actually one, he does corporate law, but Ryan Claridge, out of Claridge Law, is a really special kind of attorney. Not only does he have a heart and does he care about his clients, but he’s someone that believes in our attitude on this podcast, that couples can have that special relationship, and he also believes that there’s no reason that his services need to be bought by anyone in that relationship. How he knows that is because he knows that if two people work hard to have a close, connected relationship, they can accomplish anything. What we’ve talked a lot about on this podcast is that any couple can change the nature of the relationship. There’s only one thing that gets in the way of that, and that’s giving up. And the sad thing for me is there are so many people that that occurs to because they don’t really understand what happens during a divorce, and that’s why I wanted to bring him on. So, let me tell you a little bit about him. Ryan graduated at ASU in 2008, and what’s cool is, it wasn’t in law, it wasn’t in political science, it was in philosophy. And what I know about Ryan, and one of the things that I like so much about him, he has one of the best one-liners that I have ever seen. We’ve met on a number of occasions at business meetings, and he’s always got that zinger, and everybody always chuckles. So, he’s not your typical image of a stuffy lawyer. Anyway, Ryan, welcome to The Couples Expert Podcast. Let’s start out with you telling us a little bit about why you chose to be a lawyer, and particularly in family law. Ryan: I chose to be an attorney mainly because I wanted to help people with my intellect. I thought being an attorney would be the best way. I chose family law after forays in criminal law and immigration because I felt it was the best avenue to actually make change and a positive impact in my clients’ lives. What Happens in a Divorce Proceeding? Stuart: Why don’t we start, also, with talking a little bit about, what is that whole divorce process like? I know I get a lot of questions about it that I always refer out because people want to understand what exactly happens. 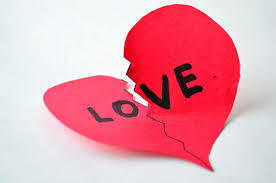 Ryan: Well, any divorce starts with one spouse filing a petition for dissolution. Then, a response is required, and then, there’s many different avenues and ways the case can be resolved. Most traditionally, people think about having an adversarial trial at the end of the process to decide all of their issues, but there are alternative dispute resolution options, mediation options. The most confusing aspect that I deal with is the timeline. I can offer, in Maricopa County, the vast majority of cases are done within six months, and it is very rare for a case to last longer than one year, but it does happen. It just depends on how complex the property division is, how complex the issues are in the case, such as children, parenting time, and how contentious the parties are. Stuart: When you talk about how contentious they are, I know I’ve met a lot of people, particularly in the work that I do, who get angry with one another and then they throw out the D-word, they start talking about divorce, they start talking about this, and a lot of times, my feeling is they’re speaking out of anger. And then, typically, what I see is they come back to see me and all of a sudden they’re no longer getting divorced, and then a week or two later, now they’re getting divorced again. So, that emotional experience seems to be something that gets in the way of people making logical decisions. So, when you get a couple in your office, I’m sure you see a lot of that. How do you, as an attorney, deal with that and how do you think it’s different than how other attorneys might deal with it, and what do you recommend to couples about that when it seems like it started at a fight? Ryan: Well, very rarely do I have a couple in my office, Stuart. Now, if they’ve been served a petition, that’s a little different. They can still stop the process. But, for people that truly do not want to get divorced, then I tell them to leave my office, and I send them to you, Stuart. Stuart: The other part of that is, I know that there’s a law, I believe it’s a law, that couples who are going through a divorce are required, I think, if one party wants this, to go through, not mediation, but to go through some counseling. What’s that counseling like, and if people are already in treatment, is there a reason to do that? And then, I also hear quite often, one party refusing, and do people have the right to do that? Ryan: So, during a dissolution process, that is after a petition is filed, either party can request, through Maricopa County, that they attend reconciliation services, and that stops the process until that meeting with the Maricopa County official happens. Also, during that time window, the parties can also seek private mediation. A party can certainly refuse to cooperate, but they cannot go forward in their dissolution until both parties actually meet with the reconciliation services. Stuart: So, the reconciliation services are a requirement for couples? Because I know I had a couple recently, I was seeing the gentleman, he wanted that, he wanted to see if that one more step… And then, when I saw him the next time, because I was seeing him individually, he said his wife refused and now they’re not doing it. Ryan: Well, she cannot refuse. She will have to at least go to meet with the Conciliation Services. It is not a requirement. The only requirement is that they must affirm at the final hearing, or before, that both parties knew of the counseling service and they either went and it didn’t work or they did not go, or they did not try because they felt it would not work. But, if a petition is filed for the reconciliation services, both parties must go. Stuart: Is it a good idea? Because, I guess, as a counselor who specializes in connection and couples’ counseling, not everyone really has those skills, and does the person that’s doing this work really have the knowledge to be able to help people, to help couples? Ryan: I can’t speak personally to that. I have not had a client go through the service and come out successful, so I would always recommend, if there is a possibility of reunification that you see a private provider. Stuart: All right, thank you. I brought up, on the introduction, something about premarital agreements. Explain what those are and how those can benefit couples from your standpoint. Ryan: A premarital agreement is a contract between two parties considering marriage, and the consideration is the upcoming marriage, and essentially, it is a “break the glass in case of emergency” type document, that if there is a separation or dissolution in the future, we can govern exactly how that will work. There’s some things we cannot govern, but as far as property distribution, spousal maintenance, things of that nature, they can all be agreed to before the marriage. Stuart: What I usually hear from people, though, when they start considering that is, “If he loved me, if he trusted me, why do we even need this thing?” and that there’s really a lot of feelings of rejection that come with that whole concept. So, it’s really a tough road to say, “Okay, we need this because I may get screwed at some point, and that’s why we have it in place, so you don’t screw me.” And it just seems like when we’re talking about this being the happiest time in your life, which is getting married and feeling in love with someone, and someone brings that up, I’m not quite sure how that goes, where people still feel important to one another. Ryan: Well, I understand that obstacle completely, but it can be a positive thing. It can certainly be a practical thing. When we look at the statistics for divorces nationwide and in Maricopa County, it’s north of 50%. 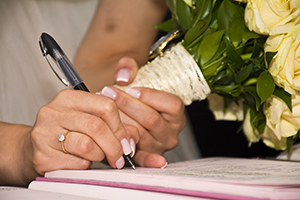 No one signs a premarital agreement anticipating divorce upcoming, but it is a way to protect both parties and it can be mutually beneficial. 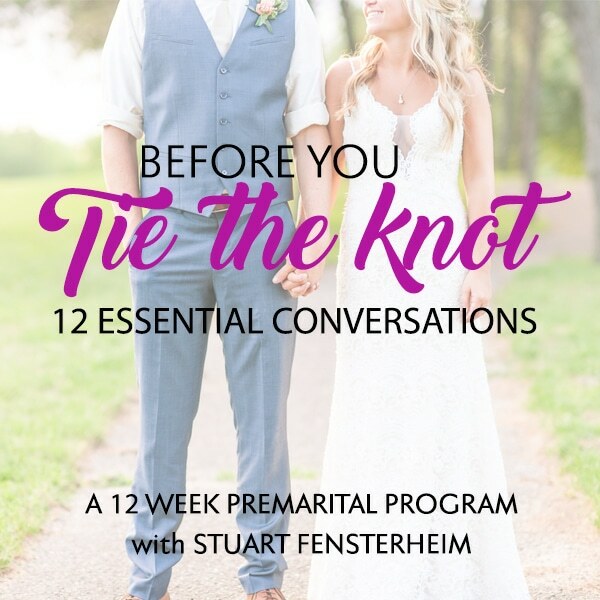 Stuart, you can probably speak to this more than I can, but having that premarital agreement really prevents angst from building up during the marriage if both parties know, “If this fails, we know exactly how everything will be resolved.” It can also save a great deal of money. “If we have a lock-solid premarital agreement,” you can even agree to things like, “we agree to go to mediation and resolve it there.” You can really save yourself a lot of money on the front end, and I see it as just a financial planning tool, as well as an emotional planning tool. Stuart: Do you think, because the thing that I talk with couples about, especially in this, where it becomes sort of this feeling of, “I’m not important, my partner doesn’t trust me if he needs this,” quite often I say or I recommend, “Why don’t you guys talk about having a set number of years where that’s in place, and then after a certain amount of time, why don’t we just sort of then…” I don’t know if you need an attorney to do this, but to cancel it, and now it’s almost as if you both generated that income together. What are your thoughts as an attorney on that? Ryan: You know, that is something that could work. Other things you can put into a premarital agreement are, you basically say, “Our dissolution’s going to be governed by the laws of the State of Arizona unless certain things happen,” and that can be any reason you would like. That could be proof of infidelity, that could be one party excommunicating from a church, or any number of reasons. You can circumvent Arizona law. So, a timeframe, I’ve never seen that before, but it could work. Stuart: Ryan, one of the things I’m thinking about is my question earlier. We talked a little bit about people being very angry and upset, and sometimes that’s how the divorce starts. The other thing that I know is, quite often, that anger, and this is what I tell people when they start thinking about this, I usually say, “Go and have a consult. Don’t hire an attorney, just talk with an attorney.” And there’s a lot of attorneys out there, and I believe you may be one of them, that offers free consultations. “So, go do that, find your rights, and find out what is happening,” because once you really hire an attorney, it sort of takes a life of its own. So, I’d like you to respond to, number one, that, and number two, how the emotions sometimes get in the way of people making good decisions when it comes to a divorce. Ryan: So, I absolutely offer free consultations every time. They’re usually just about an hour. And I agree, Stuart, having a consultation, seeing the potential roadmap of what a divorce or a separation might look like, is always a good idea. Stuart: Or that it’s right! Stuart: It’s the right thing to do! Ryan: And what I always say is, “We can do things for principle, but principles are very, very expensive.” So, I try to walk my client through the consequence of every action, both emotionally and financially, and then we make a decision together whether or not that course of action is the right course of action. I want to get my clients to a point where they are emotionally comfortable with the process and able to move through the dissolution, or whatever family law matter they have, rationally. And that’s why I’m so happy to partner with Stuart because he can help me reframe my clients and avoid unnecessary costs, both on their psyche and on their wallets. Stuart: And I think, for me, part of that satisfaction of doing that, but people forget about, is that especially if they have children, the decision that they’re making doesn’t just impact the two of them. 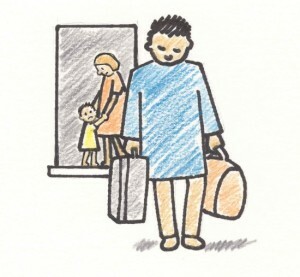 There are lifelong impacts, and we know children are better off when they have both parents living with them where there’s love. And if you decide to end your relationship, you have to be really clear that this decision is what’s best not only for the two of you, but in my opinion, that your children benefit, because we do know that kids are impacted, and every study that I have ever seen says that the children actually would prefer parents who are together to not together, even if they’re fighting. But, I think, as parents, part of the decision you have to make is, is it healthy for the children to be in this environment. If you can fix it, there is no way around it that it’s best for the kids. Ryan: And another comment on that, in a divorce proceeding where there are children involved, I tell my clients they need to remember, the legal relationship of their marriage is going to end, but their relationship with the mother or father of their children is not going to end. They need to co-parent, they need to continue to make decisions in the best interest of their child, and that requires a heck of a lot of communication with your ex-spouse. And, you know, the family courts, when it comes to children, don’t frame things in what is in the best interest of Mom and Dad who don’t get along anymore, they frame it in the best interest of the child. So, yes, you’re getting divorced, but no, you’re not done interacting with this person. And, another thing that I tell my clients is, “Look, you can say all the nasty things you want about your ex-spouse, but remember, your children are half of your ex-spouse, so it’s just not healthy to do so.” I understand you’re emotional, especially during the process, but I really like to get my clients back to, at least, a state of positive communication at the end of their matter. Stuart: Now, my attitude has always been that it’s too easy to get a divorce, but I also know there’s something, and I’m starting to see more and more couples with this, there’s something called a covenant marriage. Could you explain what that really is and how it’s different from a regular marriage when it comes to the legal process at the end? Ryan: Absolutely. 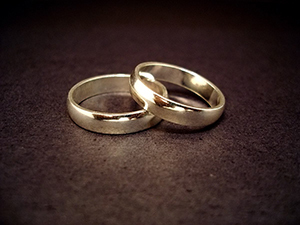 The covenant marriage is available in many states, including Arizona, and it is a reaction to what’s called the no-fault divorce, where you can essentially get divorced because of irreconcilable differences. Stuart: “Irreconcilable differences”, what a stupid term! Ryan: Really, you can get divorced because it’s Thursday. 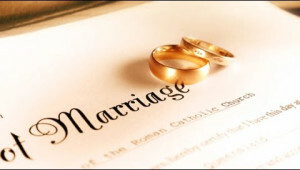 What a covenant marriage does is, it must be approved by either a clergy or a counselor, and there are enumerated conditions to when a divorce can happen, so that is, infidelity is one, oftentimes if it’s through the church, if one spouse leaves the church or is forced out of the church, if the spouse is a felon and didn’t disclose that, things of that nature. There’s a list of reasons. So, really, what a covenant marriage gives you is, basically, a marriage from the era before no-fault divorce. Stuart: So, as an attorney, are you feeling like a no-fault divorce is a good idea or a bad idea? Ryan: I don’t have an opinion on it one way or the other. I think, in a marriage, I think the people getting married should choose if they want a regular marriage or a covenant marriage, but I don’t believe that the government should force people to stay in relationships if they are dangerous, if they are toxic, if they are not working. 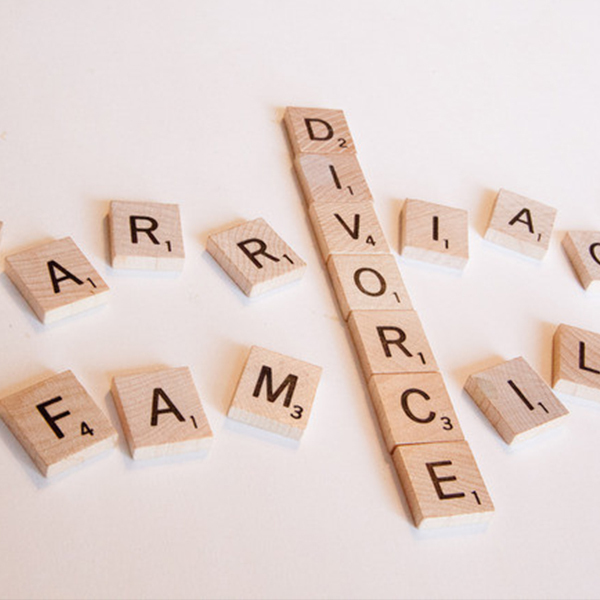 So, for many reasons a no-fault divorce is a good thing. Stuart: I know, years ago, there was something that I found when I was searching on the Internet and you were mentioning earlier, that what people don’t realize is that the need to be able to communicate is actually more important when you’re divorced than when you’re married, and if you couldn’t do it when you were married, there is no way that you should expect that you’ll be able to do it when you’re not married, when there’s a divorce, and then when we start dating, and we have all these other issues that come into play. And, I do believe that there’s some software, actually, that’s out there that couples, if they can’t communicate, can actually communicate through this piece of software, where they can then have dialogs and agreements and negotiation of all the things that they need to talk about. Are you aware or are you familiar with any of those, and do you have any suggestions or recommendations of any? Ryan: I can’t make a recommendation. I know there’s software that filters out, you know, profane language. I know there’s software that charges per transmission, so if one partner is over-sending messages, well, at the end of the month they see that each message was a dollar, then that tends to stop. But, that is one of the issues when you’re going through a divorce with children that you need to put a lot of thought into, is the communication aspect, how you’re going to communicate with your former spouse about the children because child custody modifications are the most contentious, generally, and the most expensive, and the root cause, I think, of all of them is either communication that does not work or communication that one party just does not prefer. So, hammering out and spending time on how the communication is governed on the front end can really save you a ton of time and money, and energy, and heartache. Stuart: What is your perspective as an attorney on couples who have been going through this process and one or the other now says, “I don’t know if I really want this,” and part of the concern is, “Should I cancel it at this point? Should I wait? If I cancel it and then it doesn’t work, then I have to refile it.” Where do you go with couples who are going back and forth with those types of things? Ryan: So, if the couple is making that decision, then I would say, “Absolutely, file something like the petition for reconciliation, file a continuance, and attempt some sort of counseling.” It depends why you’re pausing the proceedings. If you’re pausing the proceedings because you believe there might be a relationship, a marriage, you can save, really, the only thing you’re losing is the filing fee. I would recommend a long continuance or just withdrawing the case. The problem is if one party is saying they want to reconcile at a certain point, if the other party does not agree, they can’t just stop the procedure. If they are thinking about stopping the proceedings because they cannot afford them, then I would ask for mediation through the court or a low-cost provider. Stuart: What advice do you have for couples that are having these awful fights, divorce threats keep coming up, they’ve tried counseling, it’s not working, where do you see it being the time to say, “I give up”? Do you, as an attorney, have any point of view about that? Ryan: My answer to that question is, I never want to take a client in who is unsure of whether or not they want to move forward. I have sent many potential clients home because they weren’t yet committed to not committing anymore. What a good point is, you know, I think that’s a better question for a counselor. As far as if there’s an advantage to filing first, I would say there is not. Obviously, if you are the respondent, that is that your spouse filed, then you usually have to go through the miserable process of a process server, showing people all your business, and that’s not pleasant. But, there really is no advantage, legally, to being the petitioner or the respondent. Stuart: And I guess one of the final questions I wanted to talk about with you is really what the differences are between separation agreements and divorce agreements because I know that that’s very confusing. Ryan: So, a divorce agreement ends at either an adversarial trial or some sort of consent decree reached through mediation or through the court, and your marriage is dissolved. The legal relationship of the marriage is over. 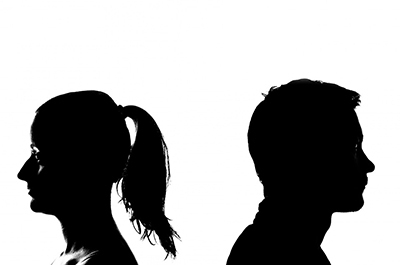 Legal separation is essentially the same thing, however, both parties must consent to it and at the end of the process you are legally separated, which is a different relationship than married and a different relationship from being divorced. It’s somewhere in between. A lot of times we see people get these for financial reasons. Spouses that go through a separation can still keep each other on their health insurance. And some people go through it because they don’t want the stigma of being divorced. And we haven’t talked a lot about this today, which has to do with step-families and blended families and children, we’ve talked about kids, but I think where it becomes an issue for some has to do with inheritance and who decides what happens down the road. And I think it’s a measure, like a life insurance policy, to really make sure that your wishes are what happens when you die. So, for me, I think that is one of the things that, maybe, a premarital agreement helps with. But, one of the things I wanted to ask you, Ryan, and because what I have found with you is that you really do have something unique, both in your attitude and also in how you practice, how do you communicate to people what’s different about your practice compared to others? Ryan: The first and most important difference in my practice is, I am in my legal practice how I am outside the office. I’m genuine. Stuart: Authentic is the word that I use a lot. Ryan: Authentic. I’m not acting like an attorney, I’m acting like myself. The second thing is that I am a solo operation. 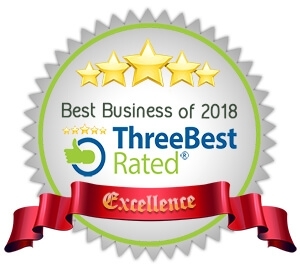 Two great things from that is, I’m able to keep costs down, number one, and two, I’m able to provide a level of personal service that just isn’t common in the legal profession, much less the family law profession. I’m the only one handling your case. Stuart: And, from what I know, you also give clients your cellphone, which is pretty impressive, if you ask me. Ryan: Correct, I do have a work cellphone and I’m there for my clients whenever they need me. Stuart: One of the things that Ryan is being so gracious with, and I want maybe for you to share it, that you’re offering sort of a discount for listeners of this podcast. Ryan: Absolutely. Well, number one, I always offer the free consultation. Number two, my normal retainer is usually around $3,500. Anyone who hears me on this podcast here can enjoy a lower retainer of $2,000 and two hours free, as well. Stuart: Ryan, thank you very much. I appreciate you coming on. And one of the things, (not everyone believes this about attorneys), is he actually did this for free. He didn’t charge me, I don’t have an invoice of his time, and he’s been here about an hour and a half right now and it’s all graciously being given to this podcast, to my listeners! So, thank you, guys, for joining me again and we’ll see you next time. Take care.